How are international firms expanding as Angola makes it easier for foreign investors to do business? It's a contrast from just five years ago when Luanda was rated the most expensive city in the world for expats. That has changed since oil prices plunged, bringing down costs in this oil-producing land. ​We visited an international company that is thriving as conditions improve. Swiss-based Webcor is expanding its milling company Grandes Moagens de Angola, with plans to invest 250 million USD over five years. 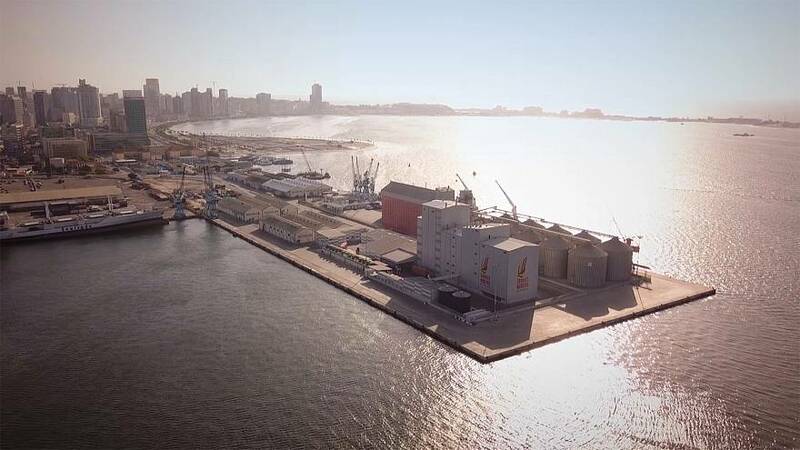 Among the investments: a new mill on the port of Luanda that processes 1200 tonnes of wheat into flour and bran daily. ​Eduardo Barbosa, Country Manager Angola for the Webcor Group, says the company has benefitted from easier investor and worker visas, lower costs and easier rules on investment. ​We spoke to the head of the International Monetary Fund in Angola - Max Alier - after the IMF approved a new 3.7 billion USD loan supporting the government's efforts to restructure the economy, cut inflation and the deficit, bring the kwanza in line with the international exchange rate, and diversify. ​Alier credits the government's new investment law saying international investors no longer need an Angolan partner. Foreign companies can repatriate their dividends and workers can repatriate their salaries. "We see these policies going in the right direction," Alier says.